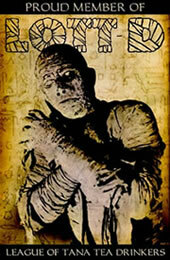 As announced back in March, today will be the last day that Classic-Horror.com updates. After today, the site will remain online as an archive. It is also the site's thirteenth birthday. 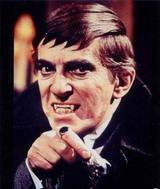 Classic horror has been part of me longer than that, though -- far, far longer. As the site draws to a close, I thought I would try to put into video form some kind of final farewell. I've worked on this on and off for the last three years (starting in 2009 when I thought I might shut down the site then). The video is kind of hodge-podge of clips from over 200 horror sources, set to The Who's The Song is Over. I think the song reflects some of my feelings about the site and the horror genre in general. No notes this time. I think I've said everything I need to say in my farewell post. The world truly has lost one of the greatest writers of the 20th century. 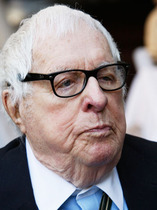 Ray Bradbury, well known science fiction author among thousands of fans, died on June 5th, 2012 after a lengthy illness. The following is what would have been the first entry in an ongoing column about video games. However, since the site will no longer be updating after June 15th, only one entry was produced. We hope you enjoy! 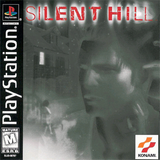 Way back in 1999 when Silent Hill was released for the Playstation, videogaming was in the middle of a massive image shift. With the arrival and success of the Playstation in 1996 gaming was becoming mainstream and cool. It was no longer considered the past time of pasty kids with no friends or the hopelessly nerdy. Advances in technology enabled developers to add a cinematic sheen to their games for the first time and titles like Gran Turismo, Resident Evil and Metal Gear Solid were leading the pack in this new cinematic approach. Even Hollywood was getting in on this blossoming medium, with the likes of Bruce Willis lending his likeness and voice to generic shoot em up Apocalypse. And in the midst of all this came Silent Hill. Initially seen as a rival to flagship horror franchise Resident Evil, it went on to become a big success in its own right and the years since have seen numerous sequels, spin-offs, merchandising, films and even a remake. The series even has its own iconic bogeyman in the hulking shape of Pyramid Head. But it all started with the first game, a relentless, nerve shredding nightmare.